Why we can’t take our dogs into the Peterborough Farmer’s Market building, I don’t know. But a stroll around the outdoor part indicates this is a dog town, and the not-enclosed portion of this Saturday morning destination is very pet friendly, and not just for dogs. Established in 1825, the Peterborough Farmer’s Market has evolved into the typical urban meets country market found in many cities: defined as much by trendy artisan foods as it is down-on-the farm stands selling locally grown produce. Among the traditional booths of lettuce and tomatoes are emu oil products, handwoven wool shawls, goat cheeses, organic cut-your-own herb plants and a dog bakery. 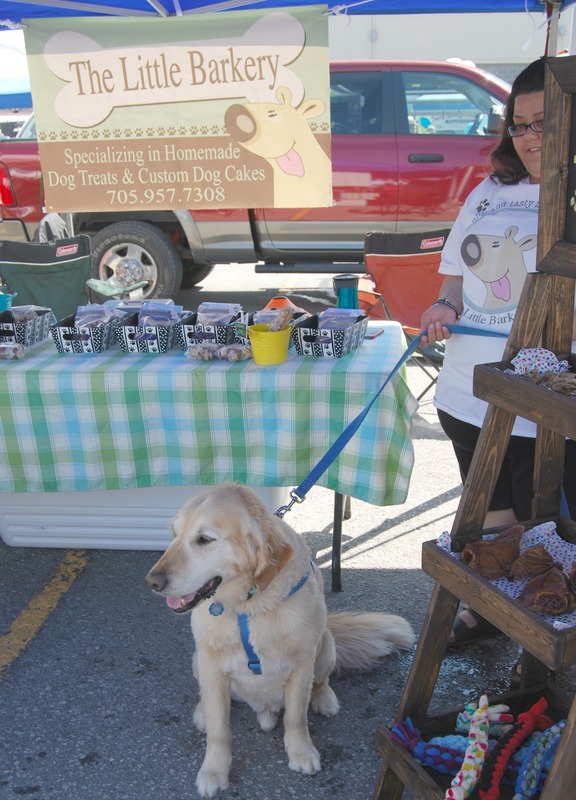 The Little Barkery specializes in homemade treats, muffins and dog cakes. Yes, cakes. And if you want to add a birthday gift to go with that cake, another woodworking vendor, Jim and Audrey’s Woodcraft, offers feed bowl benches in three different sizes ranging in prices from $40 for unfinished wood to larger stained and doubled varnished for $65. 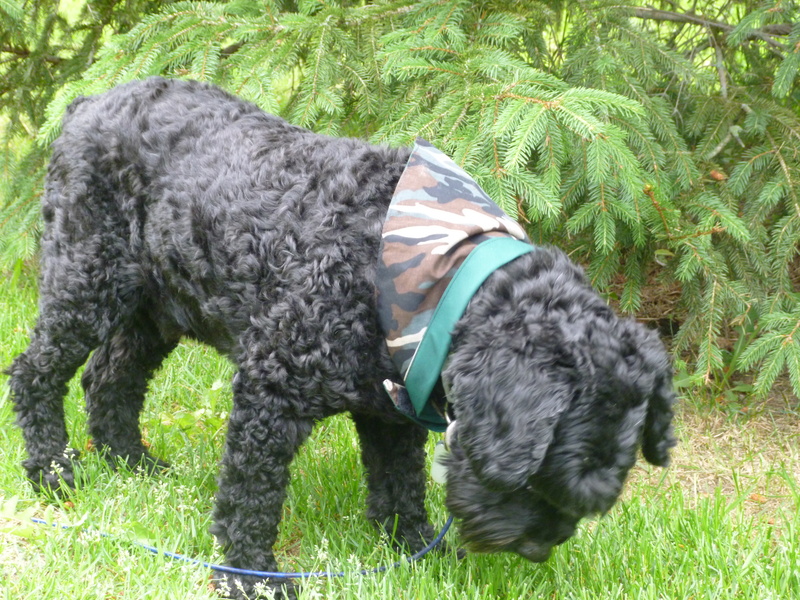 Then go to an indoor vendor to add a Velcro bandana for $3 to $5 (or handmade jacket) in a variety of patterns, including my camera-shy dog Victor’s camo version he’s reluctantly modeling in the photo. Note I said the market is pet friendly. 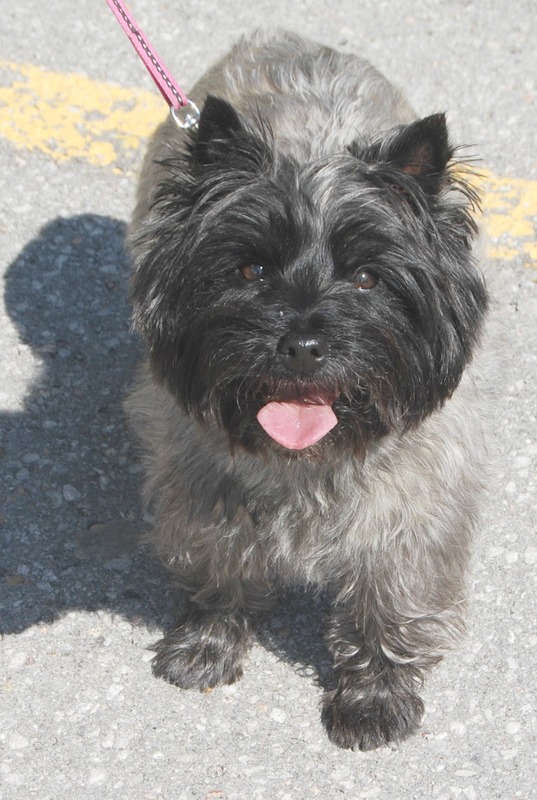 Not only is it easy to stumble into leashed dogs every few feet, Harley the Peterborough Pig gets a lot of attention too when he makes an appearance. 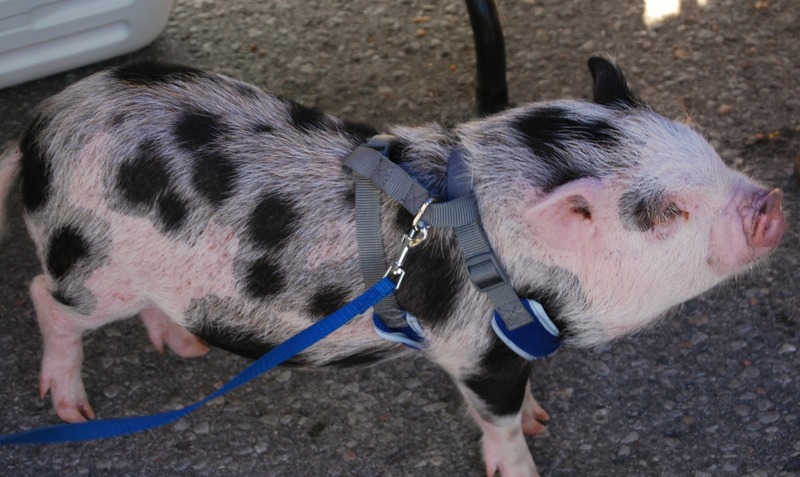 Only several months old, Harley the leashed pet pig has his own Facebook page and he eagerly eats free treats handed out to him with enthusiasm from The Little Barkery. Let’s hope he doesn’t notice the dried pigs ear chews on the shelf nearby (or any of the butchers rows away). Harley the Peterborough Pig – not a shaved version of Victor! The Peterborough Farmers Market in Peterborough, Ontario runs every Saturday morning from 7am to 1pm, May to October at the Morrow Building near downtown. Check out other dog farmers market fun in Saskatoon.